Cavity Insulation – Cavity Insulation Products – Cavity Insulation Costs. Cavity insulation points to the technique to retain heat inside the house. If your house is constructed according to the building regulation of keeping internal and external brick walls separate with spaces inside your property is surely releasing the heat you need inside. Had your buildings been constructed after 1930s, then lion’s share of your energy costs will be spent heftily due to cavity walls exuding 35% of the heat and warm up the environment. How much can you save by installing cavity insulation? With cavity insulation measures and cavity wall insulation grants available from various sources, problems of unwanted loss of heat and money can be easily solved. 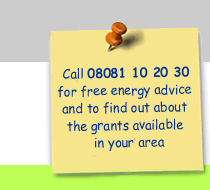 Insulate your cavity walls by taking advantage of cavity insulation grants. These grants are meant to cover all costs of installation including cavity insulation products and cavity insulation installation labour costs on using contractors’ services. Therefore, insulating cavity walls will save around 130 pounds to 160 pounds on fuel bills. Another significant savings that you can attain through filling walls following cavity insulation measures is CO2. Surveys conclude that around 1 tonne of CO2 emissions can be controlled with cavity insulation. Greater the savings your house attains, greater the value of your property becomes. 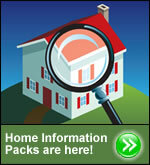 Is your house an eligible candidate for Cavity Insulation? The best way to determine whether your house is suitable for cavity insulation is getting it inspected by insulation surveyor. Insulation surveyors will check for cavity wall problems. * Your neighbours are not agreed to insulation process. * If walls are not filled from the ground to the roof and if each property has not been assessed separately for insulation grants. * If the cavity walls have already received insulation because 'top up' cavity insulation is not possible. Signs of insulations can be any holes measuring 10p piece, found in the T-joints of the mortar. * Signs of damp walls must be addressed and solved before installing cavity insulation. * Width of the cavity measuring less than 50mm.